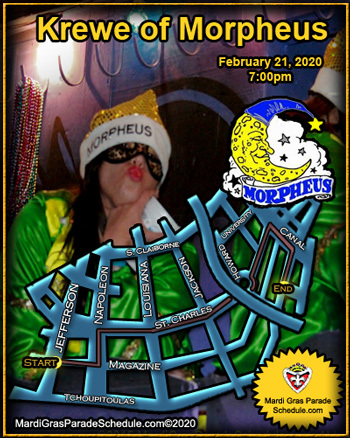 Krewe of Morpheus... More then Just a party! There is a certain dedication and caring among Krewe of Morpheus members that makes Morpheus more than just a ride; rather they have become an organization that enjoys getting together several times per year. With a membership approaching 500 making friends for life that parade together down the traditional St. Charles Avenue and Canal Street route.